Melt milk chocolate and caramel in a double boiler until melted. Pour into a fondue pot or a serving bowl. Sprinkle the chopped pecans on top. 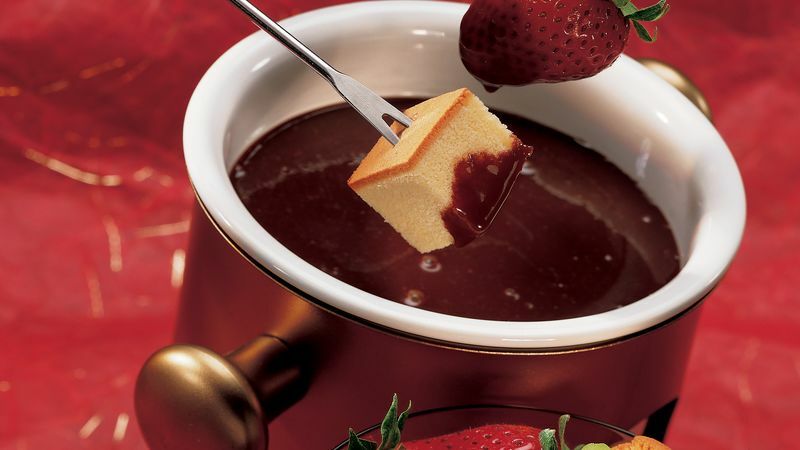 For dipping into the chocolate use cut fresh fruit (strawberries, bananas, and pineapple), marshmallows, and cubed brownies, cheesecake, and pound cake. Even if you don’t have a fondue pot, you can make this dessert. Just melt everything in microwave and pour into a regular bowl. The caramel keeps this fondue soft without requiring constant heat.